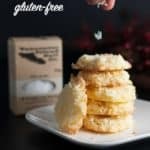 These gluten-free thin and Crispy Salted Coconut Cookies have only four ingredients and are super easy to make. They’re always the first to disappear from the cookie tray! 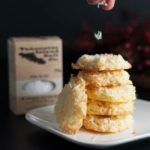 Family favourite Crispy Salted Coconut Cookies! It’s a cookie-baking weekend! I’ve suddenly been asked to make 6 dozen cookies for a bake sale so I’m considering all the options. 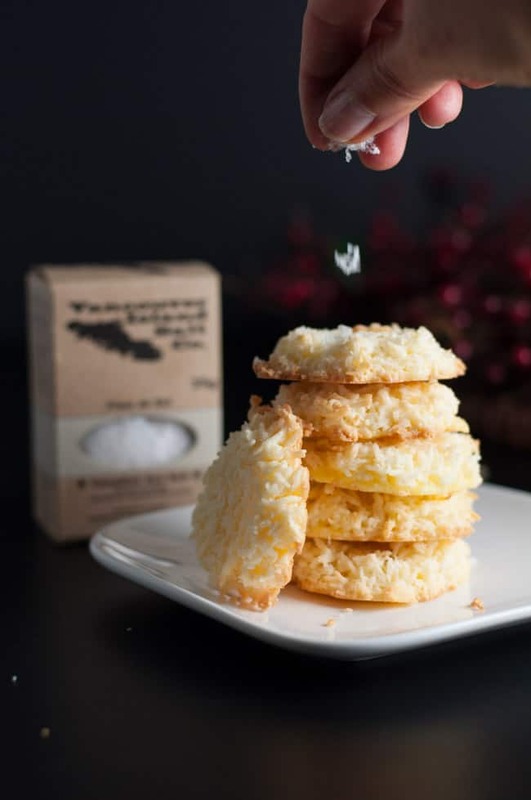 This recipe for Crispy Salted Coconut Cookies is high on my list. Why? It’s quick and easy and these coconut cookies have always been the first to disappear from the cookie tray. They’re perfect for those on a gluten-free diet, too. 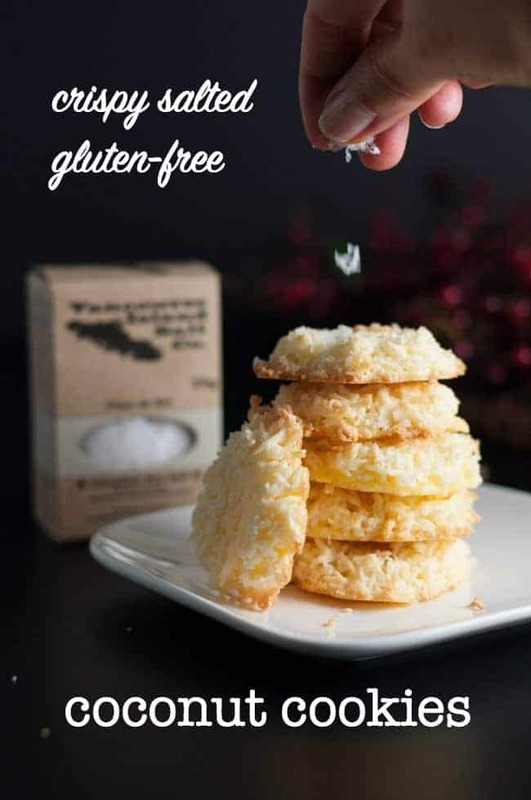 These salted gluten-free coconut cookies are crispy on the outside and soft and chewy on the inside, just like prize-winning cookies should be. They also take top honors because they have that tiny hint of salt that cookie-lovers crave. Not only that, they’re gluten-free, making them definite winners in my books. Can I freeze these coconut cookies? Yes! Bake ahead of time, store in a tightly covered container and freeze. They will stay fresh for a few weeks or more. They thaw quickly, so you can take them out of the freezer just before serving time. Looking for more gluten-free cookies? Try these Chocolate Dipped Crispy Coconut Cookies or these Roasted Almond Chocolate Truffles too! 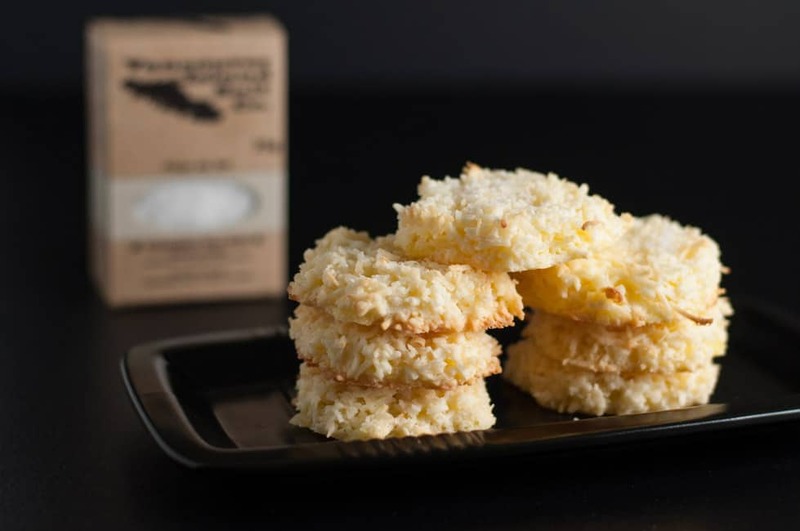 These gluten-free Crispy Salted Coconut Cookies are topped with a light dusting of sea salt. They're the first ones to disappear from the cookie tray! Make ahead and freeze for unexpected company. Melt butter in a medium saucepan. Remove from heat and add the coconut. Mix well by hand until the coconut is well coated with the butter. Beat the eggs with a mixer on medium speed just until blended. Add the sugar and beat on medium-high until the mixture is light-colored and fluffy. Combine the butter-covered coconut gently with the egg mixture and mix well. Drop the batter by small spoonfuls about 1 1/2 inches apart onto the parchment-covered baking sheets and press down evenly to flatten.. Bake for 7-10 minutes until golden. Watch carefully as they will burn quickly. Remove from the oven and immediately sprinkle the tops of each cookie with a pinch of flaky sea salt so that it will stick. Slide the entire sheet of parchment with the cookies intact onto a wire cooling rack so that the heat from the baking sheet won't continue to brown the bottom of the cookies. 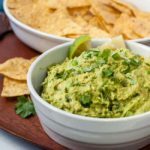 As soon as they are cool, place in an air-tight container to maintain their crispness. These cookies freeze well. 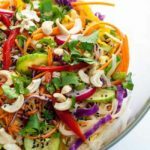 Be sure to use shredded/dessicated coconut. Desiccated coconut has been dried so it contains much less moisture than flaked coconut. It will absorb more moisture than flaked coconut. Using flaked coconut in this recipe will not produce a crisp cookie. These are amazing! Thank you for the recipe. 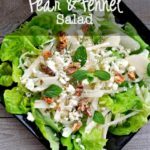 Made this recipe last night! Came out so well. So yummy. Melted some semi-sweet chocolate chips, filled an icing bag, and zig zagged across the cookies. Looked beautiful and tasted amazing! Thanks for letting me know! What a great idea to add chocolate! We can never have too much chocolate, right? This is exactly what I need: not too sweet and easy to make. Thank you! Thanks! I love the sweet and salty contrast in these. So glad you like them too. Thanks for letting me know! 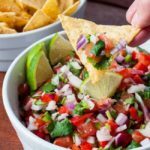 Would coconut oil instead of butter work to make these dairy free? That is such a great question–I wish I had a definite answer! It should work, because both butter and coconut oil are solid at room temperature. If I wasn’t heading out on a trip, I’d make a batch with coconut oil to find out and let you know! I think it would taste really good. If you do try it, let me know! Thanks for your question. That’s too bad that you had trouble with this recipe. I’m not sure what went wrong, but it may be the type of coconut you’re using. I have found that desiccated or shredded coconut absorbs more liquid than flaked coconut that is more commonly sold in the US. Hi, quick question about baking ahead and freezing – how long do you have to defrost them before serving? 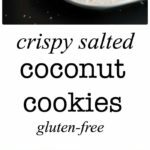 These sound delicious but my hubby is not a coconut fan, so figured I’d bake and save for friends and family visits! Thanks in advance! These thaw in just a few minutes. I’ve baked and frozen them successfully for a few weeks. You might also like my latest recipe where I took the same cookies, omitted the salted tops and dipped and drizzled them in chocolate. Check it out here Thanks for stopping by. Happy baking! I just made these a couple of days ago and took them to work. They received rave reviews! Only got 2 dozen out of the dough though. Could you possibly substitute Truvia for the sugar? Great question . . . but I’m not sure! I haven’t tried using Truvia. I wonder how it would affect the texture and crispy nature of these cookies. If you do try it, I’d love to hear your results. So good & So easy!! I used unsweetened shredded coconut but I toasted it first! They were crispy & awesome!!! Fabulous idea! Thanks Jenny. Toasted coconut has SO much flavour. Thanks for sharing with my readers! Honestly the best cookie ever and so easy to makes. Everyone loved them and asked when I could make more. I used regular bagged coconut and had no problems. Came out perfect. So glad you love these cookies, Christine! They always turn out for me, too, and get devoured! Thanks for letting me know!